We arrived at Government House, driving up the graceful drive, luscious manicured lawns and old trees to either side, grey sky over head, and a bitterly cold wind blowing for late November! Hayley (managing all logistics/alliances/participants – all round miracle worker), and Justine Shaw (together with Jess Melbourne-Thomas, and Mary-Anne Lea, the brilliant trio who run the science side of Homeward Bound) and I bundled out of the car, carrying the HB banner, and packaged jackets for a couple of participants who were joining us. A crowd were moving across the lawn in front of Government House, being ushered towards the front door. We were walking across the drive, and as they got nearer, we realised they were ‘our’ crowd – men and women we have come to know well, all of whom, one way or another, have helped make Homeward Bound possible. Once through the main door, we all showed our invitations, and were then directed down a carpeted hallway towards the reception room – all mahogany tables and tall dark portraits and beautiful flower arrangements. Her Excellency Professor The Honourable Kate Warner AM, and her husband Richard Warner, greeted everyone on arrival… “Can I hug you Kate… er Your Excellency,” I said, beaming at this wonderful woman who became Patron of Homeward Bound, even though her normal approach is not to look at an idea less than 10 years old (and we were only months old when she said “yes”). Everyone started talking, most knew each other in one part of their lives or another. Warm, congenial, curious. Her Excellency addressed the crowd, and as she was speaking, I looked around the room at the brilliance gathered, at the men and women I’ve come to deeply respect and I felt an overwhelming sense of gratitude – gratitude for the night, the thoughtfulness, the support and the care, but also gratitude for the dream and the quirky moment between Jess and I where a spark of an idea turned into a flame. 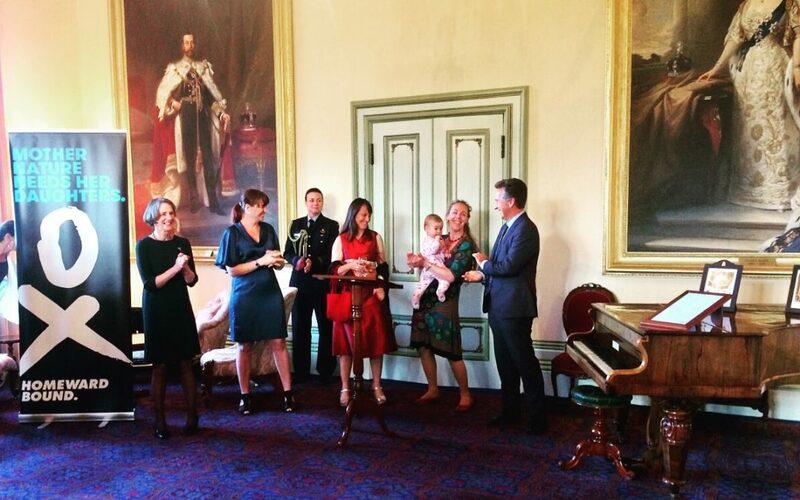 Her Excellency’s generous and beautifully crafted short speech made the hairs on the back of my neck stand up – this was real, it was happening, many people who mattered were listening, nodding, smiling. I confess the briefest moment of ‘imposter syndrome’ rushed over me; and then a quiet and determined voice in my head said “this is right, it’s time, be proud, be present”. 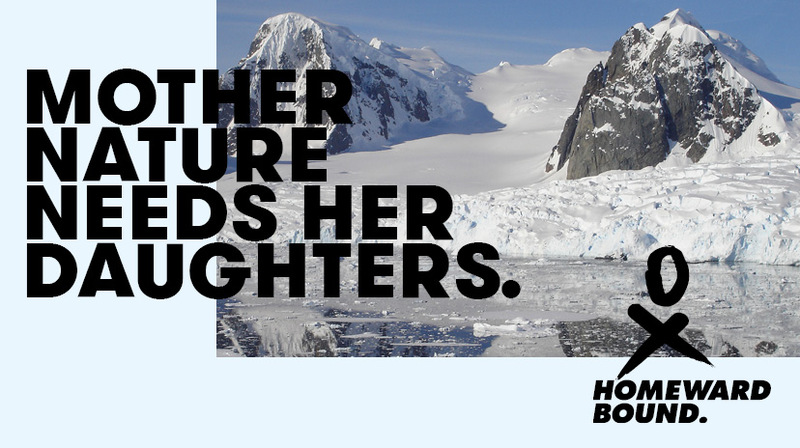 I talked briefly to the group as well, and called the HB team who were there to the front of the room – women who have helped make this all possible – and Nick Gales, CEO of Australian Antarctic Division, nestled amongst them, beaming at us all. As formalities finished, the night morphed into a private dinner with just a small group of direct and particularly relevant people. I confess it was all grace and tradition and good wine and brilliant conversation and in the background, somewhere inside the building, a chef delivered a perfect vegetarian meal and a desert which, on arrival, brought us all to a stop as we enjoyed the simple pleasure of truly delicious food. By the time I got back to the hotel, with Hayley and Justine, all of us chattering about the night, and what people said, I felt replete in a way I haven’t felt for a long time. 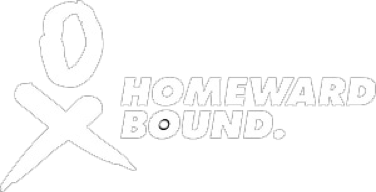 Not only is Homeward Bound the right initiative at the right time with the right people, I acknowledged to myself, I am also the right person at the right time with the right knowledge to help. A moment of magic in a lifetime.